Loading up your home on wheels for an extended road trip can be a taxing ordeal, no doubt. Should we bring the cat? What about the exercise ball? The fine china? Indeed, dilemmas such as these can turn even the most agreeable road trippers against each other. Fortunately, this does not have to be the case. When it comes to packing, we all have our priorities. Depending on your group, itinerary, or specific needs, every packing list may not look the same. There are, however, some common ‘dos’ and ‘don’ts’ one should keep in mind that might help separate the essentials from the clutter. Before gearing up for your next adventure, consider these useful tips – a few simple measures can save a lot of headache. Get organized. Compartmentalizing your luggage into labeled storage bins is always a good bet. 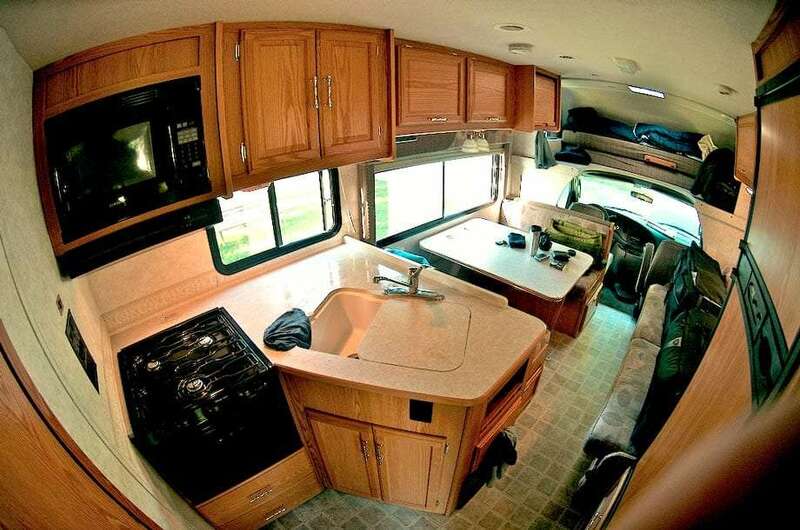 Take note of the cabinets and drawers already in your RV, and make the best of your storage space. Making a categorized list might help you decide what needs to come along. For example, create an outline of supplies labeled “kitchen utensils”, “hiking gear”, etc. and fill in the gaps as ideas come. Simplify. A cluttered RV means a cluttered mind. A good rule of thumb for packing an RV is to take only items that can easily be replaced. It’s easy to think of a useful situation for every item in question, but is it really necessary? Start with the essentials, and pick up whatever you need as you go. Depending on your personal preference or itinerary, these items should be considered necessities. Remember to organize accordingly! We all eat differently on the road, so I’ve left out specific food supplies. RV-compatible toilet paper – not all toilet paper is the same! Remember to pack TP that will work with your RV’s sewage system. Bottled water – you never know when clean water will be available. Hand sanitizer – compact, efficient, and no water needed. Paper towels and Kleenex – don’t over-pack. You can always pick up more! Trash bags – used grocery bags work great, cut waste, and fill up quickly so your RV doesn’t get too funky. Shower supplies (soap, shampoo, etc.) – For traveling, some people prefer liquid soaps like Dr. Bronner’s Magic Soaps to bar soap. It is clean, compact, and doesn’t come with the after-shower mess of bar soap. First Aid Kit – check to make sure your kit is complete and organized. Rope – never underestimate the necessity of thin, sturdy rope. Personal clothing – including hiking boots, sandals, bathing suits, hats, etc. Cooler – the size will depend on your specific needs, but I usually prefer canvas, picnicstyle coolers that roll easily. RV Toilet Paper, easier for your rig’s holding tanks to digest. The Strongly Encouraged of Packing. While not absolutely necessary, these items can add a lot to a road trip. Certain items may not pertain to certain itineraries, but I would highly recommend throwing some of them into the mix! Portable barbecue grill/charcoal – many campsites come with grills, so this might not appeal to everyone. On the downside, a personal grill can be messy and cumbersome; on the upside, you have more freedom over where you can enjoy a nice cookout! Board games/cards – it never hurts to have a few games in tow, especially when traveling with kids. Outdoor lawn games – Frisbee, bocce ball, badminton, soccer, etc. Bicycles – most recreational vehicles have racks on the back for bikes. Let’s face it: you can’t bring everything. Whether loading up a storage unit, or locking up a home, some things should really be left behind. The following items are a no-go for any RV road trip, and should be safely stored away prior to departure. Valuables – this goes for jewelry, watches, fine china, or any other sentimental objects. Glass wear – broken glass in an RV is bad news. Whenever you are considering packing a glass object, ask yourself if there might be a plastic alternative. I bet the answer will be yes! Pets – well, I guess that’s really up to you. But do consider summer heat, bathroom opportunities, long waits, cleanliness, pet laws in National Parks, and the general wellbeing of your loved one. Bulky furniture – chairs and tables should always be of the foldable variety, so they may be stored in an orderly, out-of-the-way fashion. Electric generators – with electricity plug-ins at most RV campgrounds, these noisy, obnoxious devises will only be in the way. Loading up for an adventure on the road should never be a stressful ordeal. With a little organization and common sense, packing just adds to the excitement. Keeping these ideas in mind will ensure an efficient, clutter-free home on the open road. So gear up, store the unnecessary stuff, and have a great trip! 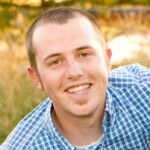 Garret Stembridge is a member of the Internet marketing team at www.extraspace.com, a leading provider of self storage facilities. In Florida, recreational vehicles can be stored at the Miramar self storage facility.